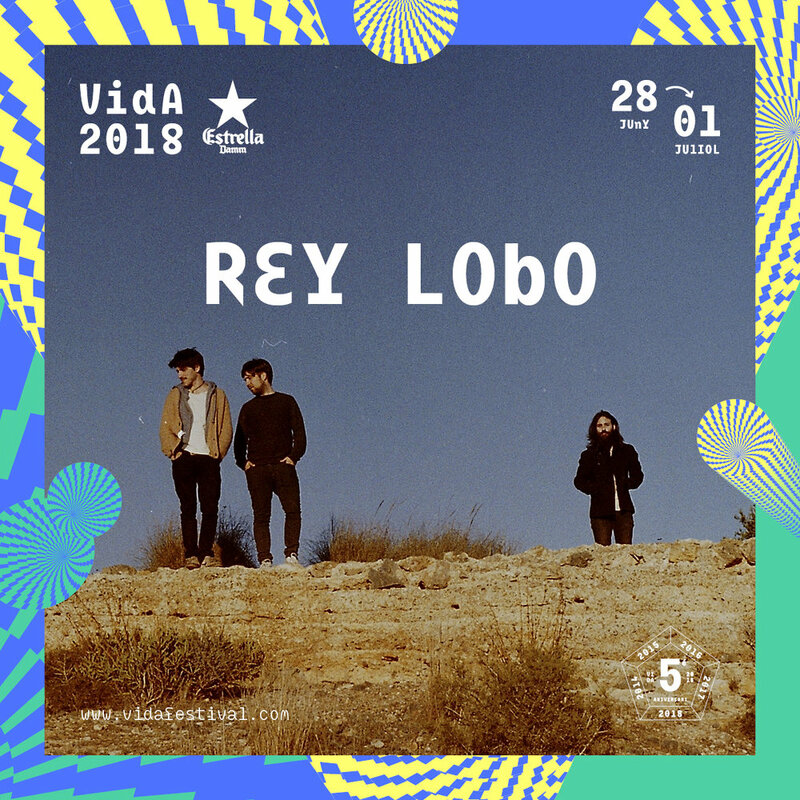 Rey Lobo are the new band confirmed for VIDA's 5th anniversary. A line-up that, with this last incorporation, stays like this: Franz Ferdinand, St. Vincent, Iron & Wine, Los Planetas, Calexico, Nick Mulvey, Curtis Harding, Joe Crepúsculo, Maga, Núria Graham, El Petit de Cal Eril, Oso Leone, La Plata, Vulk, Rey Lobo and Medalla. This year's edition will take place from June 28th till July 1st in Vilanova i la Geltrú. Based in Murcia, Rey Lobo is the project lead by Victor Hernández. A young singer-songwriter that, after finishing his film studies in Barcelona, returned to his hometown to record his debut EP Nonduermas, an album recorded and produced by himself and mastered in AMA studios by Antonio Navarro that explores a delicate experimental pop similar to artists like Sufjan Stevens or Bon Iver. Despite their short trajectory, the band have received their first recognitions winning Canción de Autor award at CreaMurcia 2017 contest Songwriter contest, being part of the projecte VIDA BANDS and, later, becoming the opening act for Xoel López in their performances at Room Festival. They will be on March 1st in Sala Riviera (Madrid) and March 24th in Sala Razzmatazz (Barcelona).